Promotional Tritan Flip Top Bottles Personalized in Bulk or Blank. 24 oz. Inexpensive, Budget Prices in the USA and Canada. Wholesale Personalized 24 Oz. Tritan Flip Top Sports Bottle on sale. Tritan is a impact resistant, FDA approved, BPA-free material which is dishwasher safe and suitable for both hot and cold liquids. We also supply blank (not custom imprinted) bulk 24 Oz. Tritan Flip Top Sports Bottles for $3.99 each. 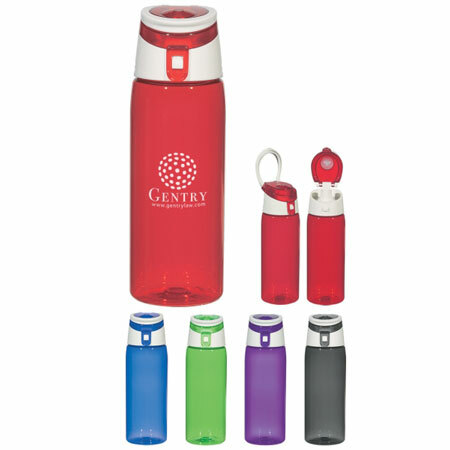 Lowest cost in USA and Canada for promotional Tritan Flip Top Bottles. American clients pay no taxes.